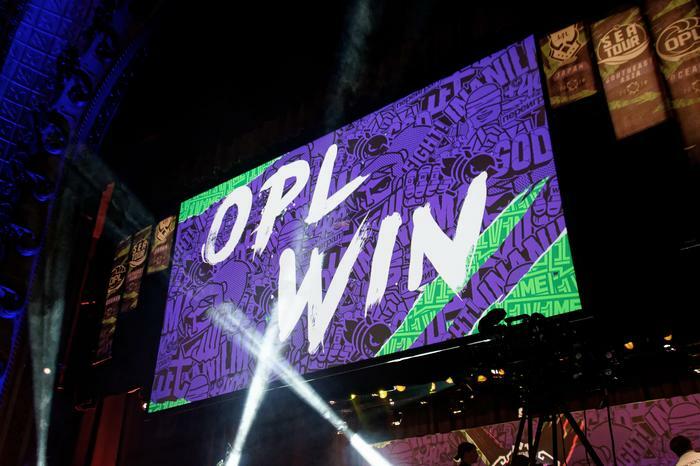 This week saw the Australian League of Legends esports scene pass a major milestone, with the top three Oceanic Pro League teams taking home their first ever international tournament victory in the Pacific division of this year’s Rift Rivals. As far as esports tournaments go, Rift Rivals is somewhat unique in that its a global event that plays out on a local scale. It’s a series of smaller tournaments that pits the best League of Legends teams in each regional league against one another - mostly for bragging rights. 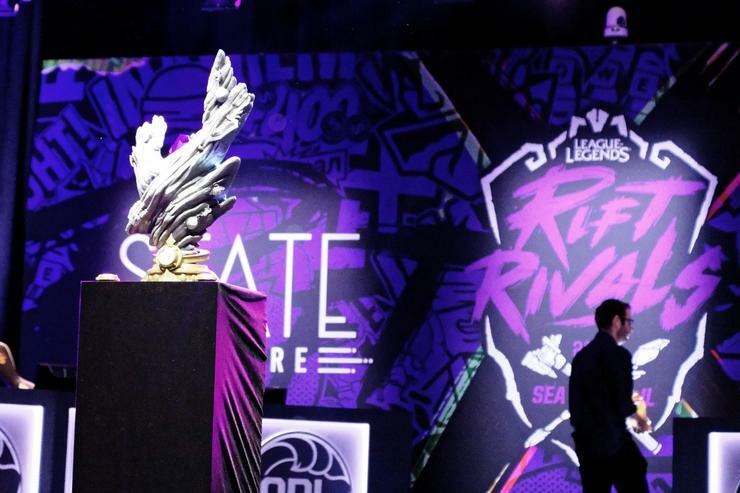 Rift Rivals 2018 consisted of five events in Sydney, Dailan, Ho Chi Minh City, Sao Paulo and Los Angeles - each playing out over the course of several days. 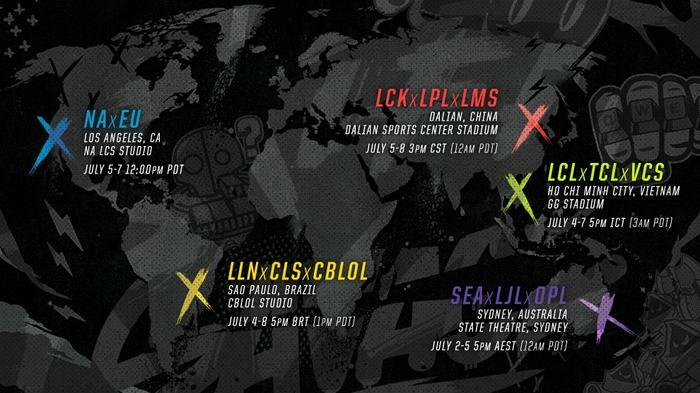 Each Rift Rivals event boasts a slightly-different format and venue. Sydney’s event - also called the Pacific Rift - took place at The State Theatre, with three teams being representing each region. 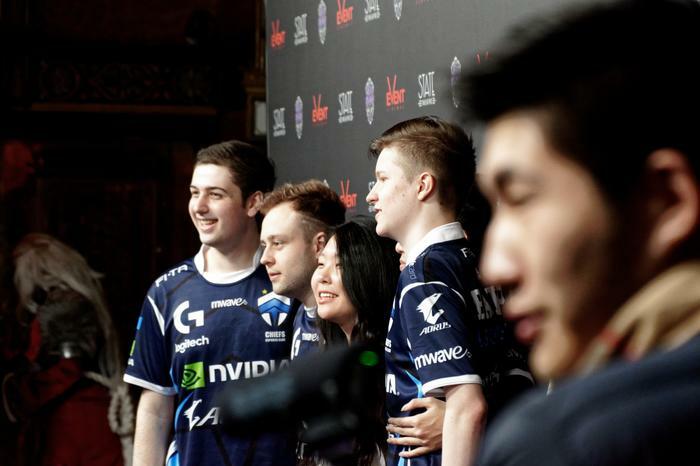 The Oceanic Pro League (OPL) fielded The Chiefs, Dire Wolves and Legacy Esports. 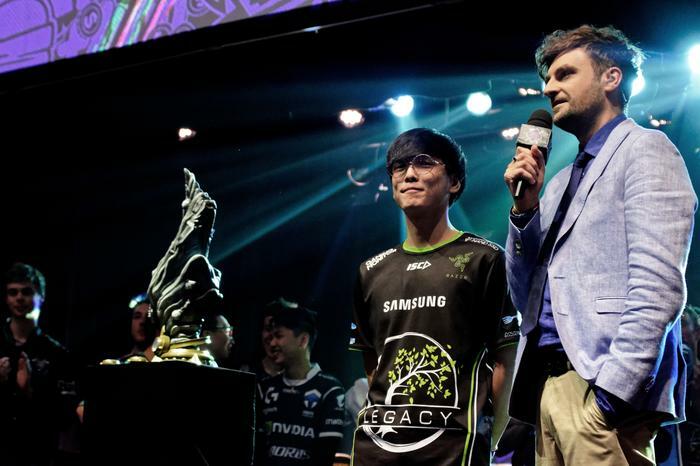 Southeast Asia’s Garena Premier League (GPL) brought Ascension Gaming, Mineski and the Kuala Lumpur Hunters to bear. Finally, the League of Legends Japan League (LJL) put their best foot forward with PENTAGRAM, DetonatioN FocusMe and Unsold Stuff Gaming. Chris Schubert, head of esports for Riot Oceania agrees. 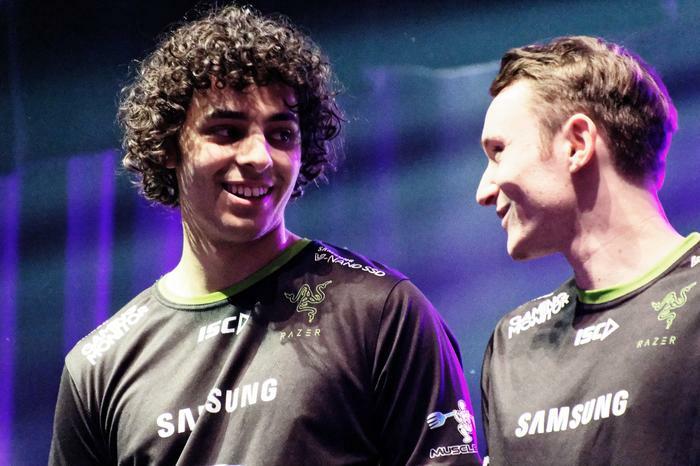 During the regular OPL season, Australia’s best pro-level League of Legends teams are usually competing against one-another. Rift Rivals flips this on its head. Victory here comes down to their ability to strategize and work together to prove that Australia can outplay the fiercest competition that both Japan and Southeast Asia have to offer. Schubert also notes that Rift Rivals is a great opportunity to explore the clash in the styles of professional play each region has to offer. “There’s the Korean-method, which is a lot more control - pick a team, play safe and take it to endgame - and it’s been cool to see in this competition that there’s been a variety of teams focused on [different] parts of the game. Curtis "Sharp" Morgan, head coach of Dire Wolves, says that preparing for Rift Rivals presents a pretty different set of challenges. "Internationally, there's a lot more variables. OPL: we verse them every week for a whole year. We know the way they play, where they want their resources. Although the meta can change, you still know their personalities. Who doesn't like being behind, who does like getting all the resources. Whereas with international tournaments, especially this one, there was very little data on those teams - since it's the start of the year." Morgan says that the timing of Rift Rivals can sometimes be a bit awkward for the players but the opportunity to share scouting information with the other Oceanic teams allowed them to get that side of the work done in a much smaller time-frame. He also says that live events like Rift Rivals are important to the morale of the players themselves, as they give teams like the Dire Wolves the opportunity to directly interact with fans. "Our teams especially love it. We don't get that fan interaction very often. The last three splits we haven't had a live final for the guys. They love it, they thrive on stage, and it's actually a good [learning] experience for the upcoming international events as well." "Fan engagement is just so, so important for us and we love our fans - so, yeah, a really great experience"
The group stage of this year's Rift Rivals saw the three regions compete in a round-robin style tournament, with the weakest region (LJL) eventually eliminated. 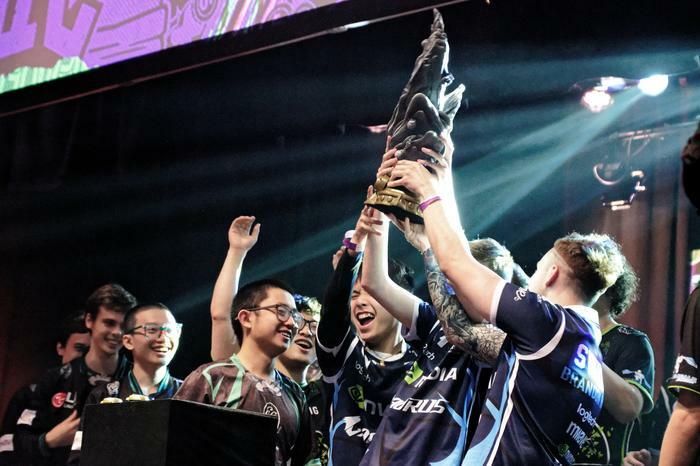 Then, the final two regions (OPL and GPL) vied for supremacy in a Best-of-5 Grand Final that saw Australia’s best League of Legends teams walk away victorious with a score of 3-1. 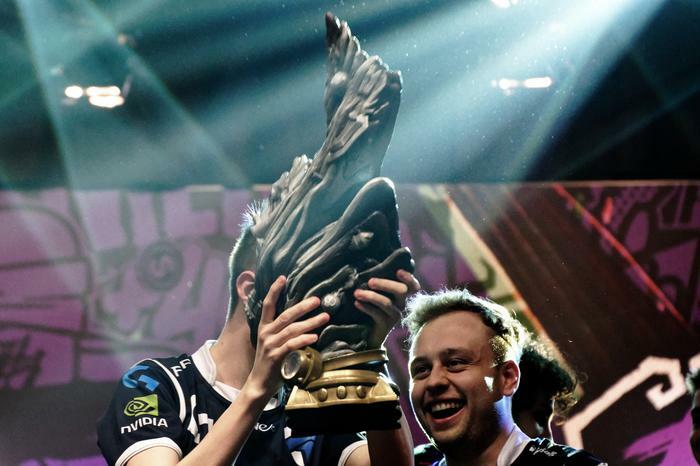 In addition to being a significant milestone for the Australian players and teams involved, Rift Rivals 2018 was also an auspicious occasion for The State Theatre. 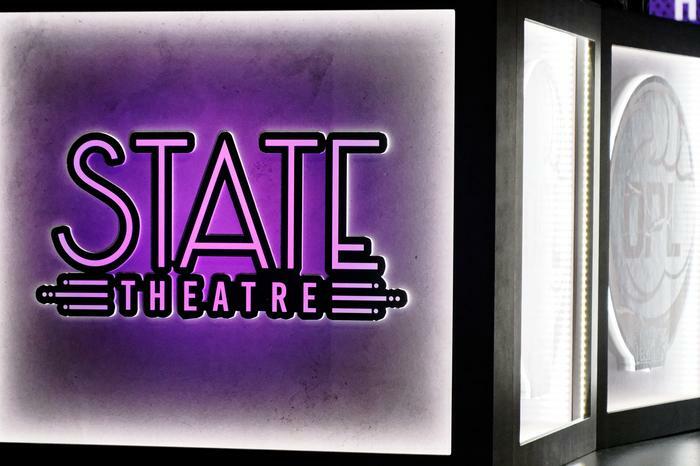 Built in 1927, Sydney’s State Theatre is almost 100 years old. It’s been host to countless film festivals, theatre productions and comedy acts. 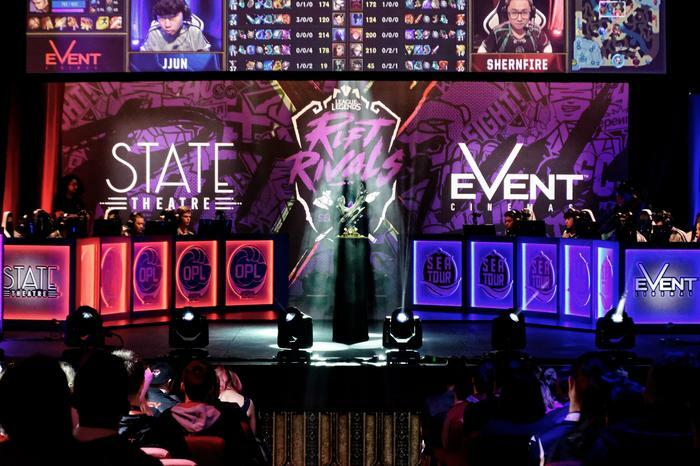 However, Rift Rivals 2018 was the first time the venue has played hosted an esports event. And it probably won’t be the last. Mackey says that, during discussions with Riot around Rift Rivals 2018, they looked to a similar League of Legends event held in 2016 at The Chicago Theater as inspiration. 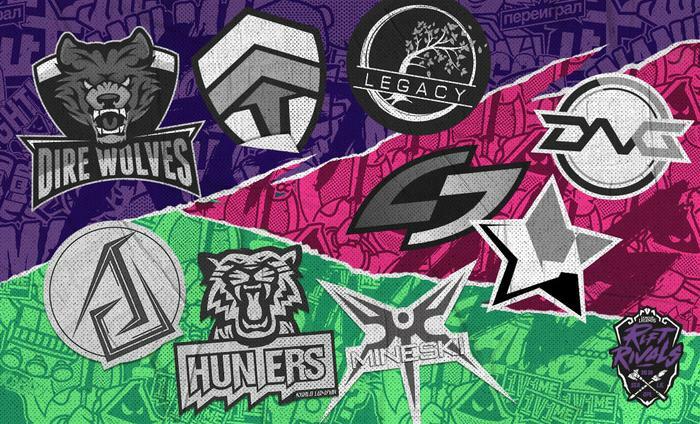 In the past, events like Rift Rivals have often looked to populate sporting venues - partially for the visual sense of legitimacy they confer on esports as a whole. For example, recent IEM events have taken up residence in Sydney's Olympic Park. With the pacific segment of Rift Rivals 2018, Riot and Event opted for an unusual but ultimately-compelling combination of the regal architecture found in its venue and the cutting-edge technology involved in the stage production of the event itself. 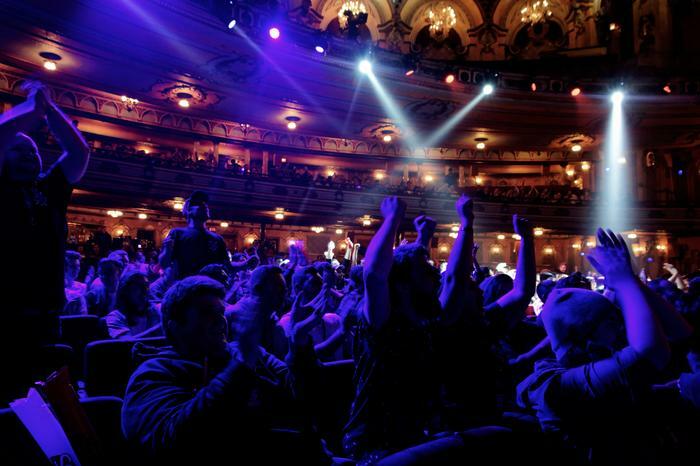 When asked if he sees a future for esports, not just at The State Theatre, but within the bigger picture of Event Cinemas’ content strategy, Mackey’s answer was an enthusiastic one. As a parting gift, Mackey revealed that Event are talking to other partners in the esports world for future events in the same vein as Rift Rivals - but (unfortunately) refused to name any names.